Bow Overhaul Mod is capable of improving the bows usage, make it more exciting and skillful. Its main funtion is to provide a bonus for better accuracy and disadvantages to using bows in close-range and while wearing heavy armor. In addition, a quiver is added to make inventory management a bit easier and adds new bows and arrows more in-line with the vanilla tools and weapons.Also, pretty much everything can be disabled, you could completely strip it down just to let you modify arrow damage or speed or just add headshots. Have fun. Headshots – Arrows are now able to score headshots for increased damage (generally speaking). Each mob’s (and the player’s) head hitbox is determined by property files, where each head’s size, position, and damage modifiers can be set. Damage modifiers for headshots and non-headshots may also be configured for each arrow and bow. Defaults are included for all vanilla mobs, and mod-added humanoid mobs should be handled fairly well (they will get the same hitbox as zombies, skeletons, etc.). Debug mode causes these “hitboxes” to be rendered in red on each mob, similar to F3+B bounding boxes. When a headshot is scored, a burst of critical particles will explode from that head. You will see these coming out of your face if a headshot is scored on you. Arrow ramp-up – Arrows deal less damage to enemies that are too close. By default, arrows need to travel 10 blocks from their initial position in order to deal full damage. This distance can be configured for each arrow and bow. Heavy/light armor – Wearing “heavy” armor reduces your bow’s drawback speed. For vanilla armors, only leather and chainmail are considered “light”. Recipes are added to convert iron ingots to and from chainmail (1 iron ingot = 1 chainmail), which can be used to craft chainmail armor. Quivers – Adds a quiver item that has three inventory slots dedicated to items that can be used as ammo. Ammo in quivers will be shot before ammo loose in your inventory, with the quiver equipped in your chestplate slot being used first. Quivers may also be crafted on to some chestplates (generally only light armor), so you don’t have to sacrifice armor. By default, G opens your highest priority quiver’s inventory (a quiver can also be opened by right-clicking with it), while R swaps the active slot in your current quiver, which is rendered on the left side of your screen by default. Quivers attempt to absorb picked up ammo to replenish spent ammo. This functionality does not work on vanilla arrows, however. Have only a chance to break on hit based on the material’s durability (100% for wood and gold, 51% for stone, 27% for iron and flint, and 4% for diamond). Take 5 minutes to despawn from the ground instead of 1 (only if the arrow can be picked up). Studded leather armor – Adds an additional armor set considered “light” armor, so that it does not incur a draw speed penalty when worn. Defensively, it is the same as iron armor (a heavy armor), but it is more durable and enchantable. In addition, a quiver can be crafted on to a studded leather chestplate. This armor is crafted with studded leather, which is made out of leather and chainmail (leather and iron ingot, if chainmail is disabled). Stackable snowballs/splash potions – Adds snowballs and splash potions which can be crafted to achieve a higher stack size (64 for snowballs and 16 for splash potions). When crafted this way, they are only usable by bows and dispensers. Snowballs can be crafted into their ammo version freely, but splash potions require one string for each potion. Same as for arrow stats, any item can have bow stats – these apply arrow stats to any entities spawned that consider you their shooter when the “bow” is equipped, and apply modifiers to certain bow events while the item is held. 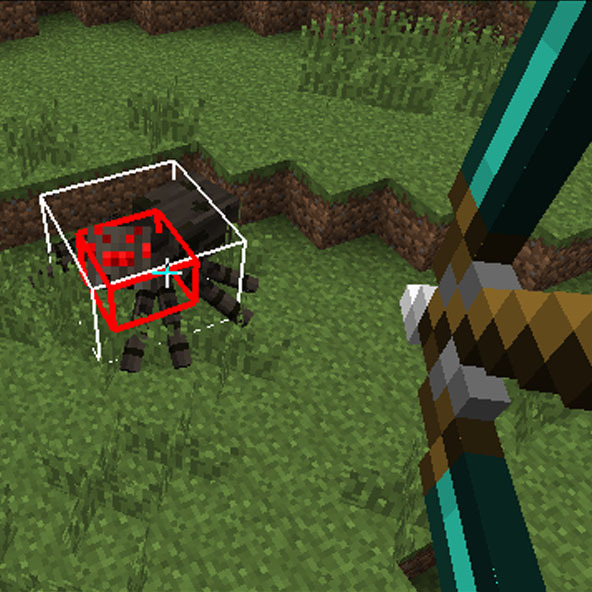 In addition to modifying headshot and bodyshot damage modifiers and ramp-up range, a speed multiplier, variance (inaccuracy), and arrow nbt data (see Mob/Block Properties nbt functions, it is identical apart from the if_X functions available) can also be applied for each arrow and bow type. Draw speed and maximum draw power can also be configured for each bow type. Bow stats can also be overridden on a specific bow through NBT data. If the string tag “BowOverhaulStats” is in an item stack’s tag, that string will be loaded as its Json bow stats file and override the file in your config (if any). The arrows added in this mod have some extra NBT tags, allowing you further control using the nbt function array in arrow/bow stats files.